ANTONOV Airlines, which recently established a USA base in Houston, Texas, as part of ongoing global expansion, has transported an outsized communications satellite for Orbital ATK. The Al Yah 3 Satellite, the first of Orbital ATK’s GEOStar-3 satellite platform products, was accommodated in a container that measured 11.4 meters long, 4.6 meters wide, and 4.1 meters high, and weighed 23 tons. The cargo traveled from Washington Dulles International Airport, USA, to Cayenne, French Guiana, on board one of ANTONOV’s seven AN-124-100 aircraft, which has a cargo cabin capable of accommodating such oversized cargo as well as a payload of up to 150 metric tons. ANTONOV Airlines operates the largest aircraft in the world, the AN-225, which has a payload of 250 tons. The Ukrainian heavy lift and super heavy lift operator has recently established a UK office in London and has appointed General Sales Agents in Japan, Australia, and India. 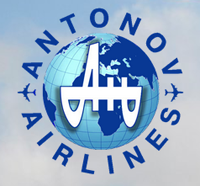 ANTONOV Airlines is the air transportation division of ANTONOV Company, a Ukrainian state-owned enterprise headquartered in Kyiv, Ukraine, which designs, develops, produces, and maintains the AN aircraft. Amnon Ehrlich, Director Sales – North America, ANTONOV Airlines, said that due to the size and weight of the cargo, a low-profile ramp system was used — specifically designed and manufactured by ANTONOV Company for the satellite and space transportation sector, to safely and efficiently load and offload the satellite.